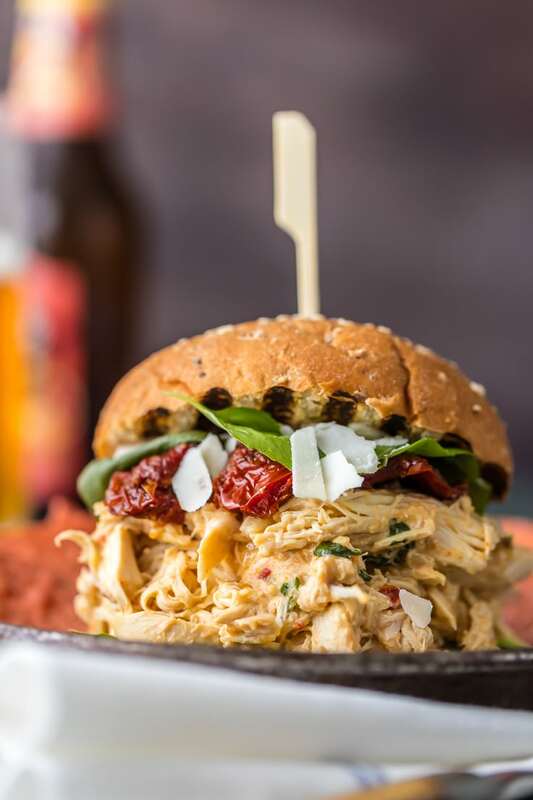 These SLOW COOKER CHICKEN ALFREDO SANDWICHES are simple, easy, and delicious. A quick and easy crockpot meal the entire family will love. Topped with sun dried tomatoes, basil, and parmesan. PERFECTION! I LOVE my slow cooker. It has bailed me out of many a night with no dinner plans. Doesn’t it just seem magic? Things go in as separate ingredients and come out delicious and ready? How does it to it?? 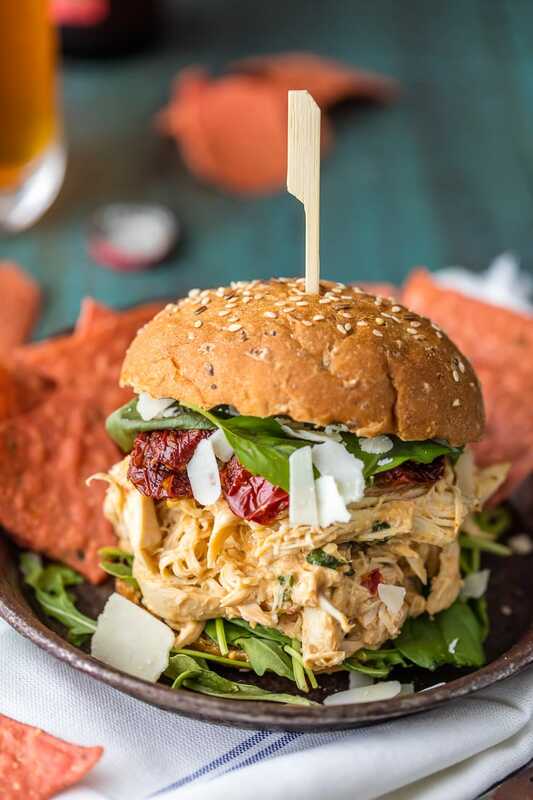 One of my favorite things to make in a slow cooker is shredded chicken. 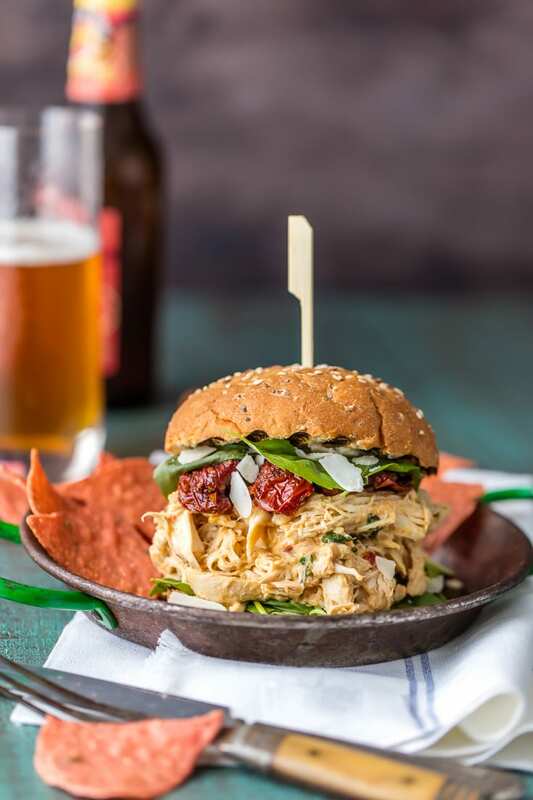 It’s just such a simple way to heat up chicken enough to cook it to a quick shred state, perfect for pulled chicken sandwiches. 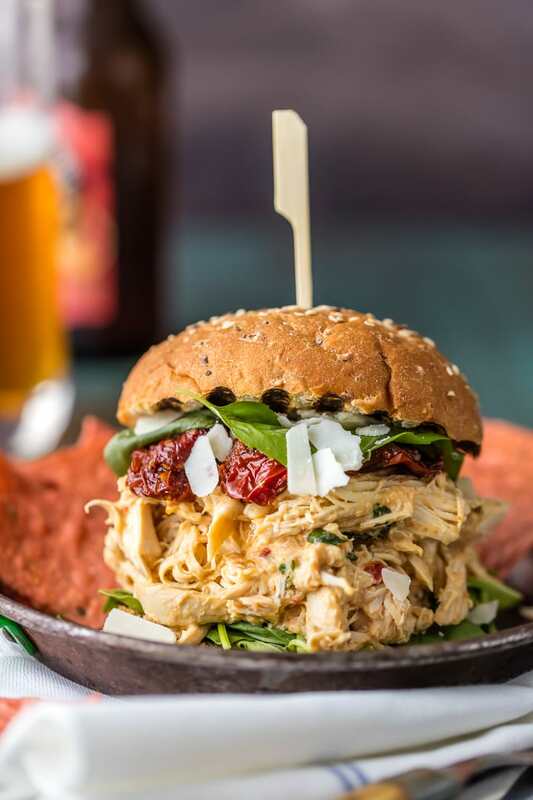 These Slow Cooker Chicken Alfredo Sandwiches are all the rage at our house. 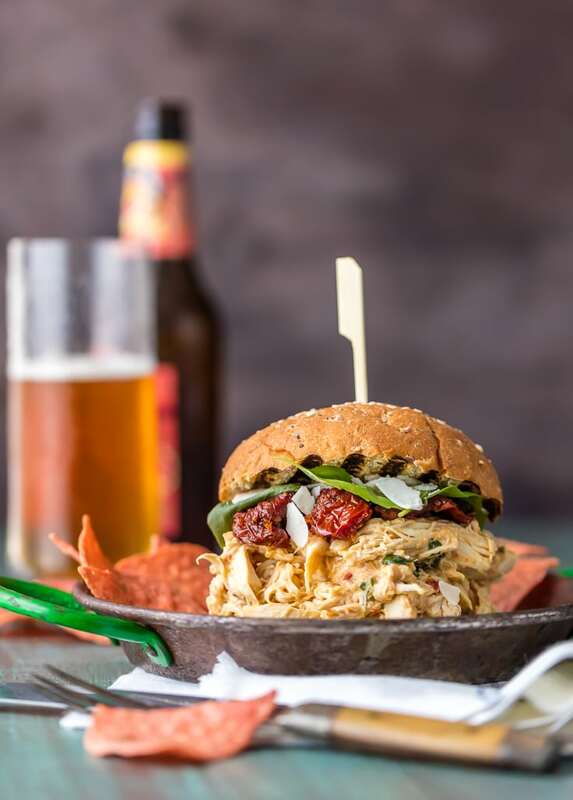 The pulled chicken alfredo is perfection on sandwiches, but also in other situations like NACHOS (coming soon!) or burritos! You won’t be sorry that you tried this super easy recipe! 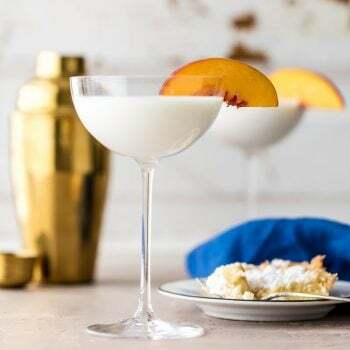 This recipe can be as simple or involved as you decide to make it. You can make your own alfredo sauce (HERE is one that I love! ), or you can use your favorite store bought sauce. Honestly, both outcomes are delish. 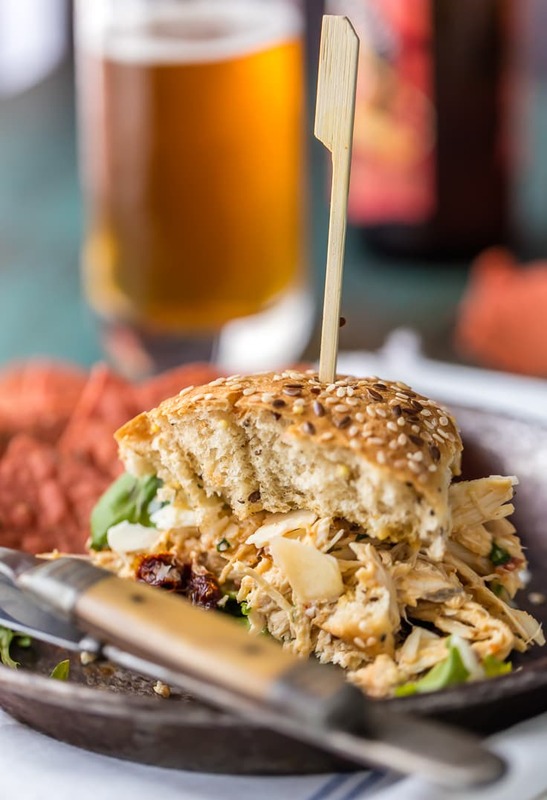 You’ll end up with plenty of delicious shredded chicken perfect for making these mile high Slow Cooker Chicken Alfredo Sandwiches. Top them with sun dried tomatoes, fresh parmesan, and fresh basil. SO GOOD! Obsessed. So fire up those slow cookers, throw in these simple ingredients, and get cooking!! 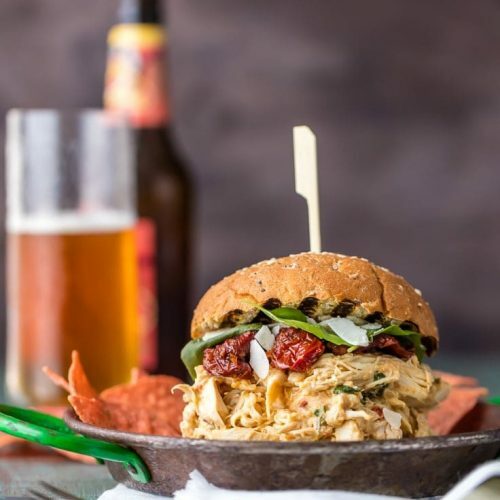 Enjoy these Slow Cooker Chicken Alfredo Sandwiches TONIGHT! Seriously, make them now! 1 1/2 cups of your favorite alfredo sauce. Homemade or store-bought. 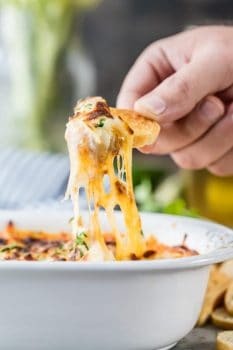 I linked above to a recipe I love! Place all ingredients except the chicken in a slow cooker and stir to combine. Add in the chicken and coat with the sauce. Cook on low for 6-7 hours or high for 3-4 hours, until chicken is cooked through. Remove chicken from the slow cooker and use two forks to fully shred. Return shredded chicken to the slow cooker and coat in the sauce. To assemble the sandwiches, top with more sun dried tomatoes, shaved parmesan, and spinach. You had me at chicken alfredo and then you said slow cooker, so basically this is the best weeknight dinner ever! Love those sun dried tomatoes added in! What a great idea, these sound luscious! My husband is a huge Alfredo fan, so he would love these. They look amazing! It looks good! I feel myself like I am hungry, while I am actually not. I am having mass company staying at my house this coming week for the 4th of July. I swear it feels like I’m running a B&B! Anyway, needless to say, I gotta feed them, and this looks perfect! I can double this recipe, no problem, and dinner is served. HUGE wow factor in this recipe, and little work. Love it! Nice recipe, can’t wait to taste it. Thanks Robert, means a lot!